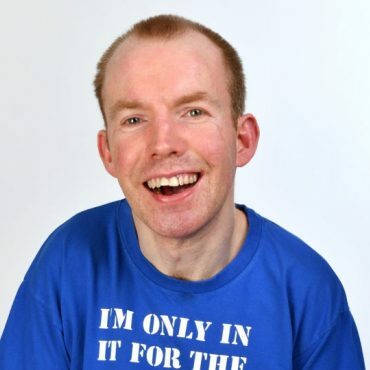 Comedian Lee Ridley is better known as’ Lost Voice Guy’. Unable to talk, Lee is the first act of its kind using a specialist communication enhancement. His first stand up performance was back in 2012 and has gained wide acknowledgment of being a very funny unique comedian. He took his first solo show to the Edinburgh festival in in 2013, and has performed there every year since, along with appearances at all major comedy clubs across the UK. His incredible act has taking him to supporting the likes of top house hold names including Patrick Kielty, Jason Manford and Ross Noble. Lee is proud to be patron of charity’s Smile for Life, The Sequal Trust and Find a Voice. Most recently Lee has been commissioned to write a comedy sitcom for BBC Radio 4 called ‘Ability’. This will be released later in the year. Lee will be instantly recognisable as the winner of Britain’s Got Talent 2018. "Finding humour in strange places is one of Lost Voice Guy's strengths."